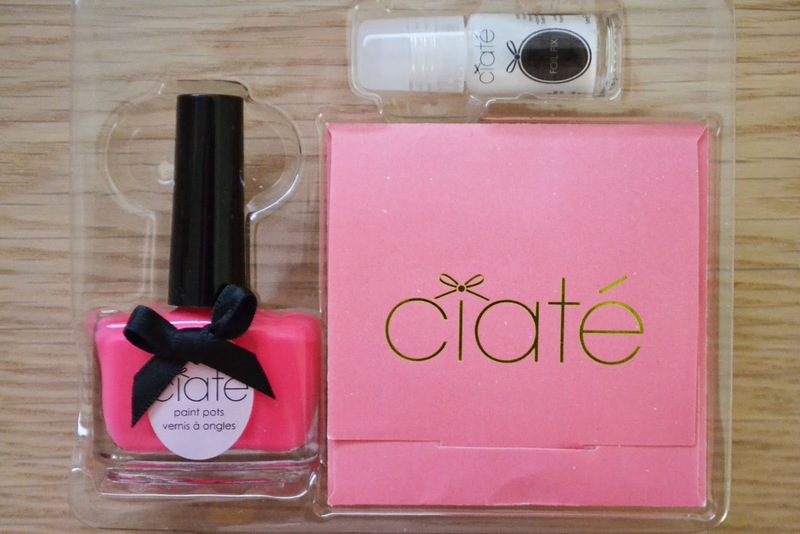 Each kit comes with a full size Ciate Paint Pot, a teeny bottle of foil fix and an envelope of 30 sheets of coloured foils in 6 different shades. I love the Paint Pot packaging. The tiny little bow is adorable and the nice long handle gives you lots of control over the polish. The pink included in my kit, Carnival Couture, is called Kiss Chase and is a lovely bubblegum pink with a shiny cream finish. Okie dokie, down to business! First things first, you need to coat your nails in 2 thin coats of the polish. It goes without saying that a base coat should be put down first! Allow this to dry before going on to the next step. Splodge it over your nail haphazardly! No need to be neat about this part! Wait for this to dry a little and turn clear and tacky. Et Voila! Splashes of metallic, chrome-y colour! 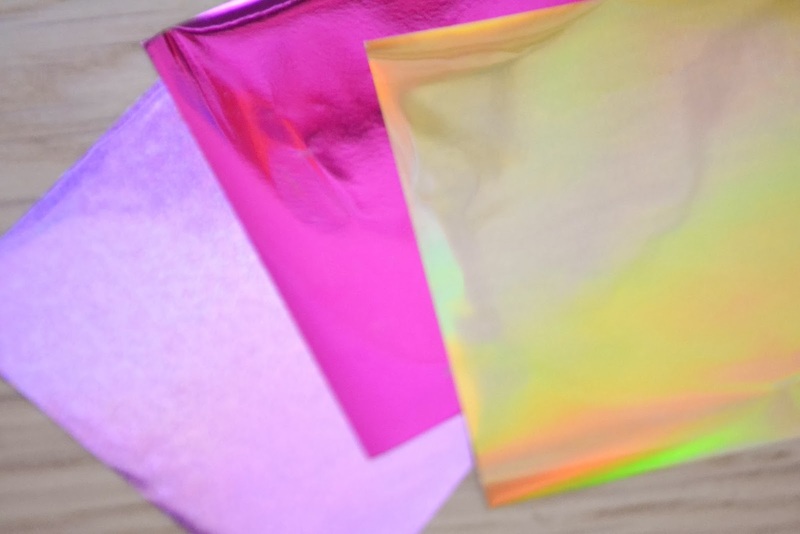 From here, you can layer the foil colour to create your own masterpiece! Allow the glue to dry completely before sealing with a shiny top coat. Word to the wise though - this stuff does not last! My foil started to turn gummy and weird after a couple of days. I think it's the foil fix to blame for this one. Either way, it's a super cute way to bling out your nails for a night out.